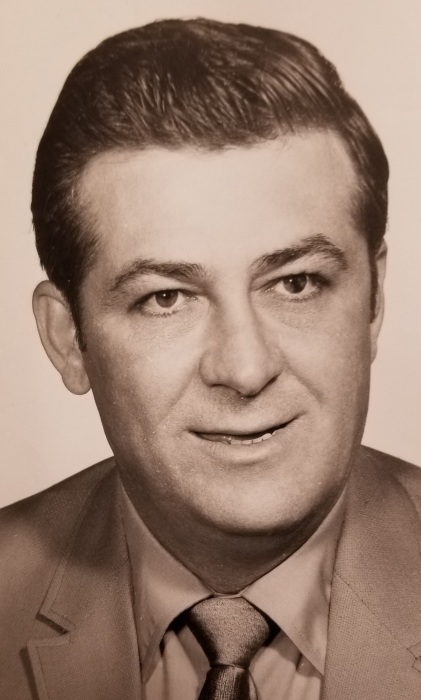 Obituary for Angelo "Sonny" Asciolla | Nardolillo Funeral Home, Inc.
88, of Cranston passed away on Wednesday, September 12th 2018 at the Miriam Hospital. He was the beloved husband of Janet (Lema) Asciolla. Born in Providence , he was the son of the late Nicholas and Jeanette (Violante) Asciolla. He had worked for the former Imperial Knife Company, Taco Inc. and Lincoln Park before retiring. In addition to his wife he is survived by his loving children, Debra-Lynn and Gary N. Asciolla and his wife Maria. He is also survived by his cherished grandchildren, Shelby , Stacey , Nicholas Asciolla and Ryan Melucci and his wife Kelsey. He was the brother of Ann Caparrelli. He was an avid sports fan, especially of baseball and his beloved New York Yankees. He was scouted in high school for his baseball ability and had a brief stint with the Philadelphia Phillies Farm system as a catcher. Funeral arrangements and burial are private. In lieu of flowers memorial contributions may be made to a charity of your choice.